Professor Wu Hung at the OCAT Beijing exhibition opening. 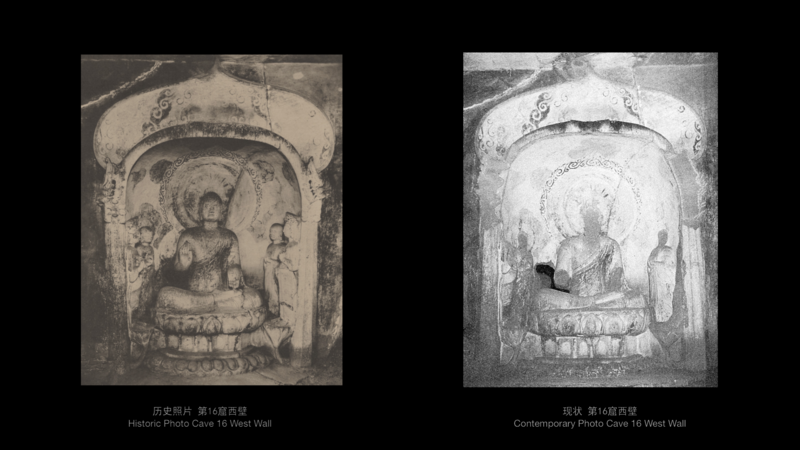 "The Buddhist Cave Temples and Sculptures of Tianlongshan--Historical Photographs and New Imaging Technology" opened as half of the larger exhibition Sites and Images: Two Research Projects of Oxford University and the University of Chicago at the OCAT Institute, Beijing, and will be on display from September 16 - December 31, 2017. 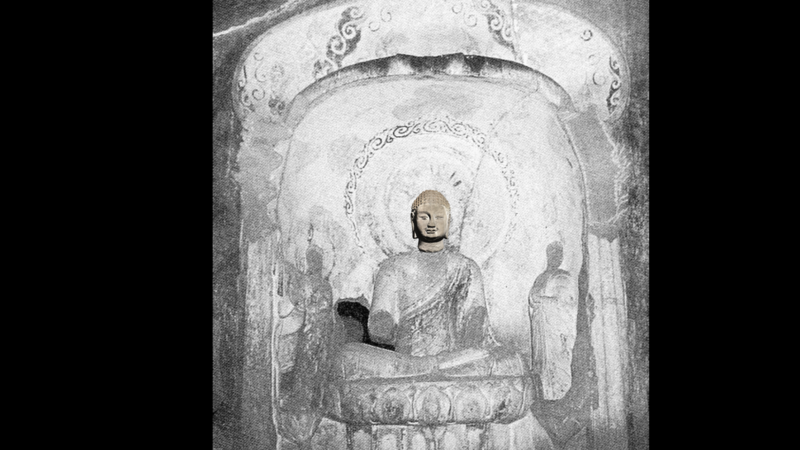 It makes makes use of old photographic records and new forms of imaging technology to reconstruct the history and former appearance of the cave shrines. 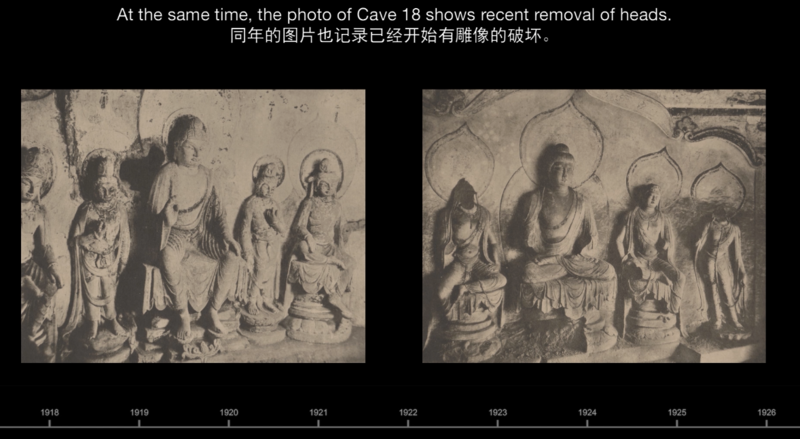 The early photographs are an important source of evidence of the appearance of the Tianlongshan caves before they were damaged, but they may also have been a cause of the plundering of the fine sculptures, attracting the attention of art collectors and dealers. Photographs from sale catalogs and museum archives also record the progress of the dispersal of the sculptures in the art market and their acquisition by museums and private collectors around the world. The gallery displays include information about the history of the caves, the recent history of the sculptures and the digital 3D models of sculptures and caves. Installations allow interactive viewing of the 3D models and explain the process of collecting and processing 3D data to create the 3D models. 1] Digital displays of 3D models at approximately actual size in order to view them in detail and at high resolution. Digital 3D models appear in displays detailing specific caves, Cave 14 and Cave 16, with photographs of the former and current condition of parts of the caves and 3D models of sculptures restored to their original positions in the caves. To enhance the sense of seeing actual objects in the round, the 3D models of sculptures rotate showing them from all sides and with lighting from various directions. Some of the digital models reconstruct the original appearance of broken sculptures by joining together pieces of figures--bodies and severed head--that were long separated. Interactive viewing increases the sense of the sculptural volumes and textures of the stone carvings and invites the viewer to manipulate the model in various ways with a touch-screen, by zooming in and out, manipulating the direction of lighting and changing the background. 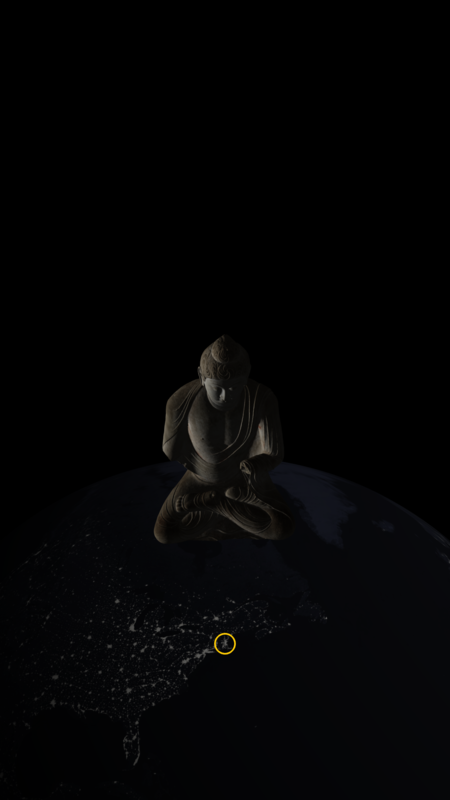 The viewer is able to do this through a real-time interface with the 3D digital models. The virtual 3D model of Cave 2 features scanned sculptures placed back into their former locations on the damaged walls. 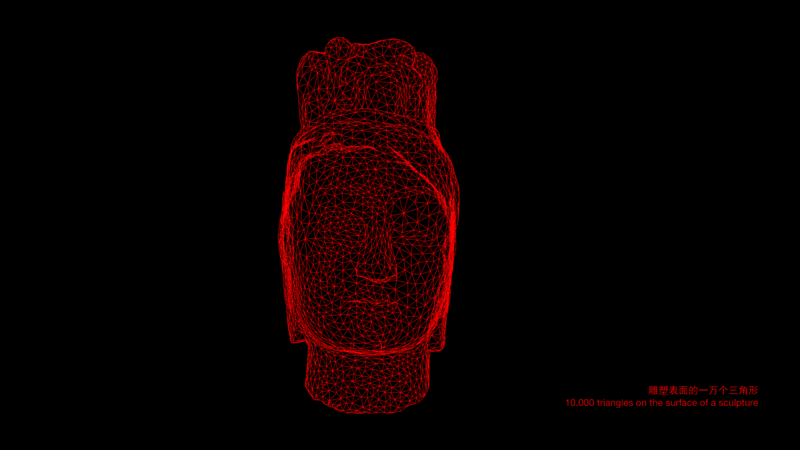 2] Digital timelines show the history of the caves and the history of the sculptures and their movement. 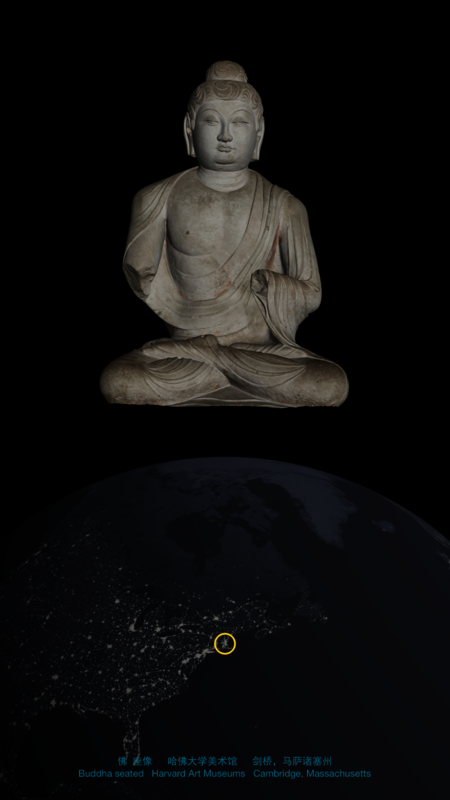 The first digital timeline gives a sense of the history of the cave shrines from their creation in the sixth to eighth centuries to modern times when the visitors to the caves began early research and took the first photographs. Photographs from the last century document the progress of the destruction of the sculptures. 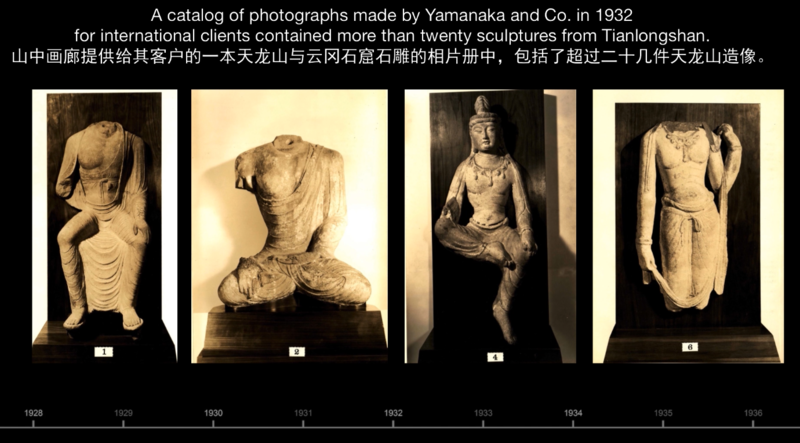 The second digital timeline traces the removal of the sculptures from Tianlongshan and their movement to various locations and owners during the twentieth century. It makes use of scholarly publications, photographs in sale catalogues, records of private collections, and museum archives. Most of the pieces known are today in museums around the world, but some continue to circulate in private hands and art galleries. 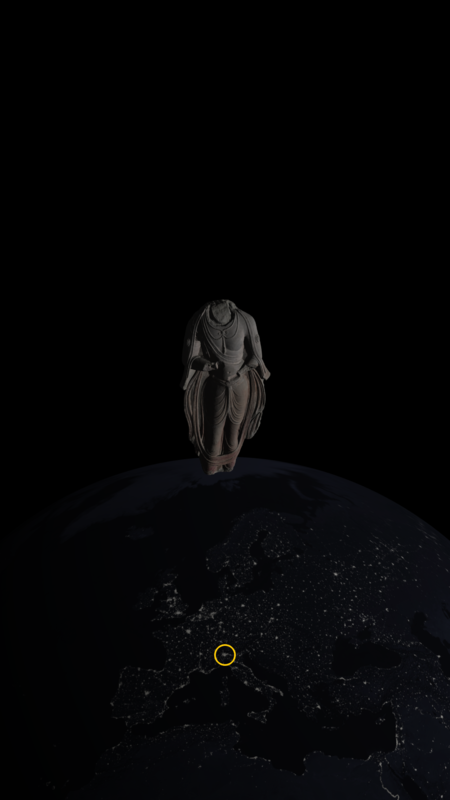 3] Distribution of sculptures around the globe. 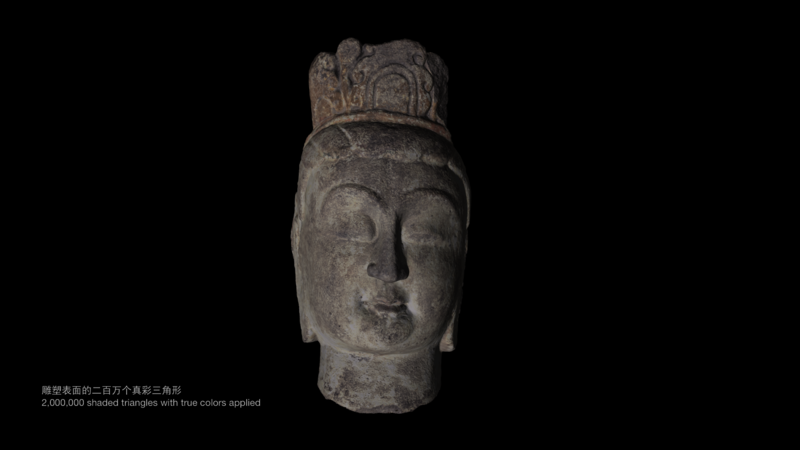 The sculptures from Tianlongshan are located in many museums and collections around the globe and have become part of the cultural property of numerous countries in Europe, North America, and Asia. Although the damage to the caves is deplorable, the preservation of these fragmented sculptures to the present day in many museums demonstrates the high valuation of these cultural artifacts in an international context. The artistic quality and the religious principles that they embody make them important vehicles of historical education and trans-cultural understanding. 4] Technological features of 3D models. 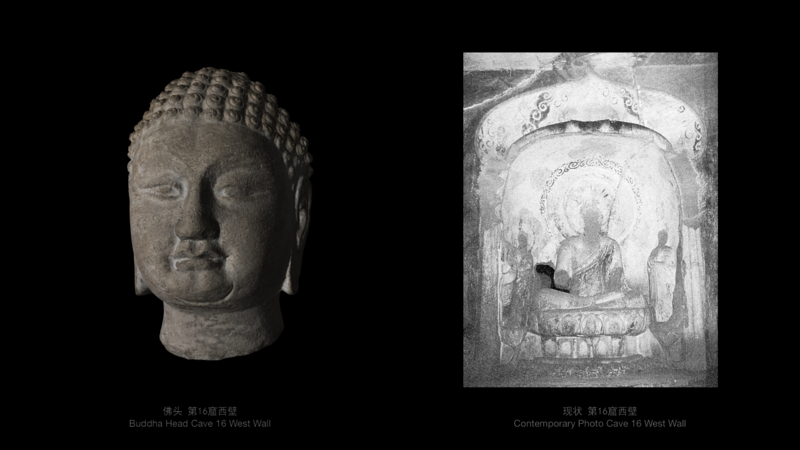 The application of new technology to the imaging of sculptures in collections outside China is a major aspect of the Tianlongshan Caves Project . The project team has traveled from the Center for the Art of East Asia, University of Chicago, to many museums around the world in order to carry out this work. 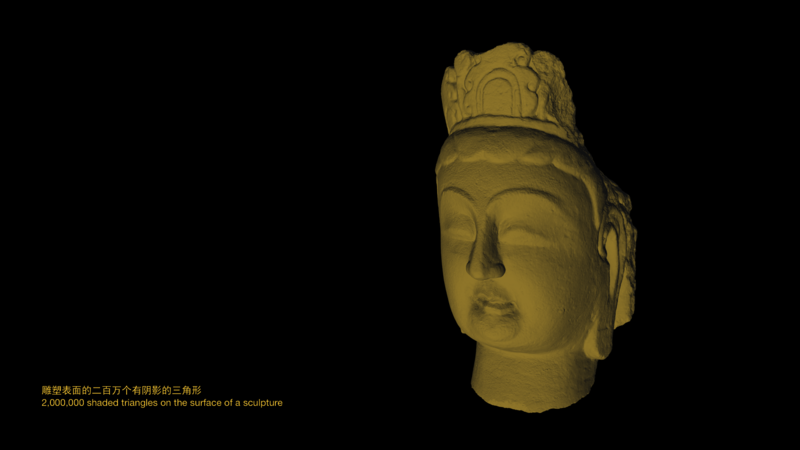 We have conducted 3D scanning of more than one hundred sculptures and processed the data to create digital 3D models. 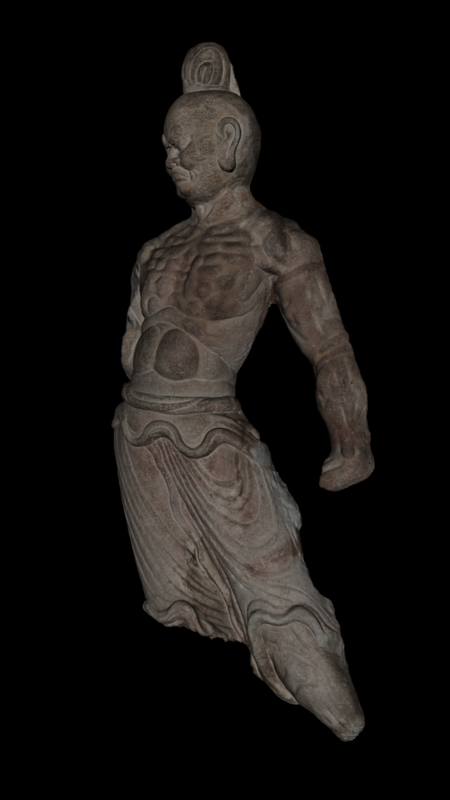 These resulting digital models record and archive characteristics of size, form, volume, color, and texture of the sculptures. The computer software can display the 3D digital information in various ways—as points in space, as a mesh of triangles connecting the points, and as a multifaceted form made up of many triangular surfaces. At the same time, the scanners take photographs that the scanner software is able to map onto the surface of the 3D models. 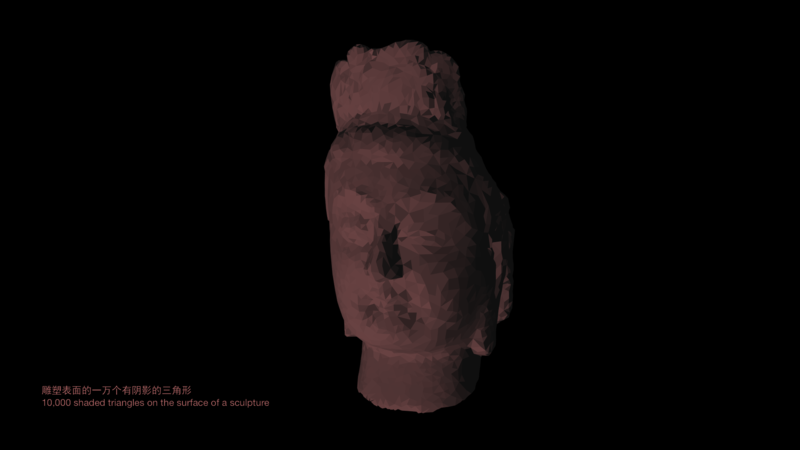 In September 2015 a preliminary exhibit based on the digital 3D models of sculptures created by the Tianlongshan Caves Project opened at the University of Chicago Center in Beijing where it was on view through spring of 2017. Some of the digital displays from this exhibit introduced the possibilities of digital displays for the larger exhibition at the OCAT Institute Gallery.